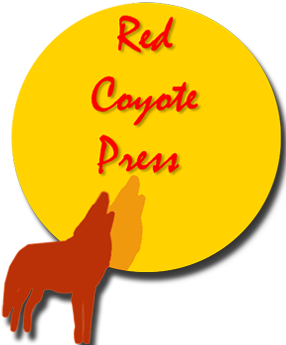 18 Tantalizing mystery and suspense short stories involving mediums, mass media and unusual means of murder. * “A fun collection of mystery short stories from great authors.” ~ Lorie Ham, author of the Alexandra Walters mystery series. An investigative reporter unmasks a serial killer who’s determined to raise the quality of broadcast news by killing TV anchors. An internet courtship turns cold. A gangster gets more than he bargains for from an old gypsy woman. A lethal paint pigment becomes the perfect medium for a mother’s dilemma. A prediction of evil follows a scientist from the African rain forest to his Tucson research lab, where greed and revenge have been cultivating in his absence. All-night radio talk show host uncovers the “politics” behind an unsolved double murder. 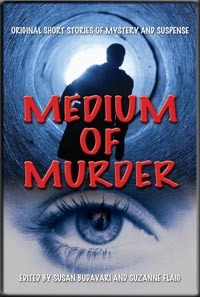 A young woman puts her life in jeopardy to expose a killer. Two boys sneak out to buy a video game and become crime victims who decide to take a shot. Famous female psychic steers police to a serial killer. Handwriting analysis leads teacher to a killer’s identity. Young woman helps her sister outsmart the police in the death of a bank robber on the run. Two young black men face a deadly African ordeal in the shadow of their college campus. When a goddess and a fake medium get together on Friday the 13th, anything can happen, including some pretty magical hocus-pocus. A Texas cattle rancher dies after falling into a barbeque pit. An elderly recluse finds the courage to face life and death when she discovers a handgun. A restaurant owner in the Philippines helps police uncover a ring of thieves and murderers. An artist commits a murder, seeking fame, only to find that the perfection of the crime keeps him from reaching his goal.